Hey, hey ‘Fetti Fans and Happy Friday (and Super Bowl weekend). Do you have fun plans for the game? I have to admit, we’re going to be duds and just hang out at home. I’m more interested in the commercials than the teams playing this year. I guess that’s just about every year though, but sometimes cheering occurs in between the commercials, too. My (8 year old) daughter is excited to see Katy Perry perform at half-time. I’m crossing my fingers for no wardrobe malfunctions, etc! Let’s take a peek back at what the Confetti Crew has been up to this week! Here’s the how-to video; I love the tips and tricks she gives along the way! I hope you all are staying warm and that the Polar Vortex isn’t chilling you to the bone. It’s certainly a wee bit cooler than the “sub-tropical” climate than I thought we were moving to here in Houston! Fortunately, I still have all my fleece pants (and have been proudly wearing them around the house). I want to say THANK YOU to everyone that ordered new release goodies this week! I cannot wait to see what y’all do with all these stamps and dies! Be sure to link up your blog posts to our Facebook page and use #reverseconfetti on Instagram. If you haven’t already, follow us! Howdy, ‘Fetti Fans and Happy Hump Day! Did you know that we are just ONE WEEK away from the sneak peeks for our November release? Mark your calendars! 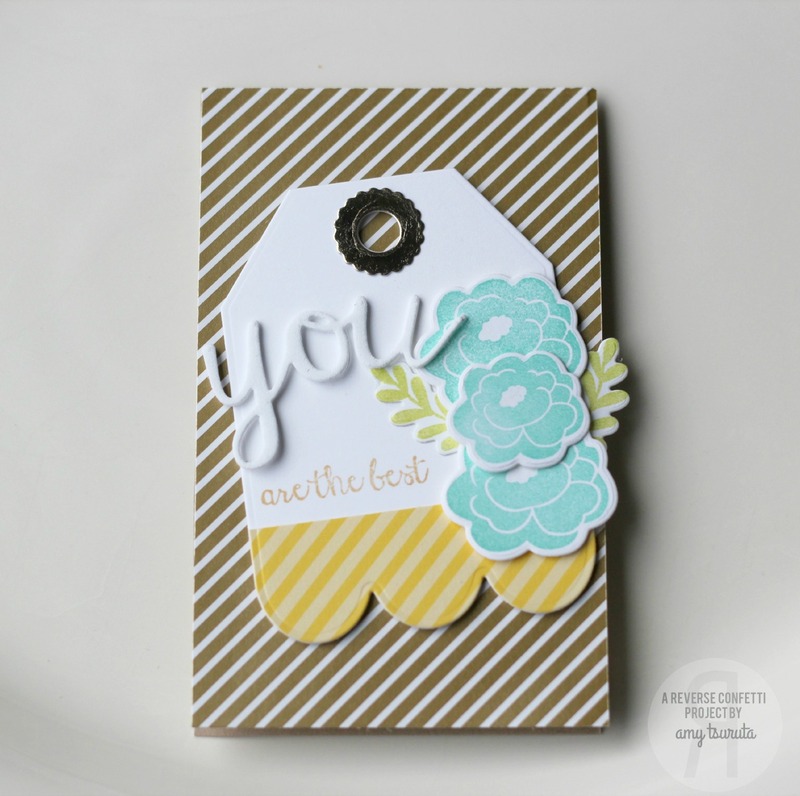 And, in case you missed it, I did a special sneak preview of some of the release products here on the blog on Monday. 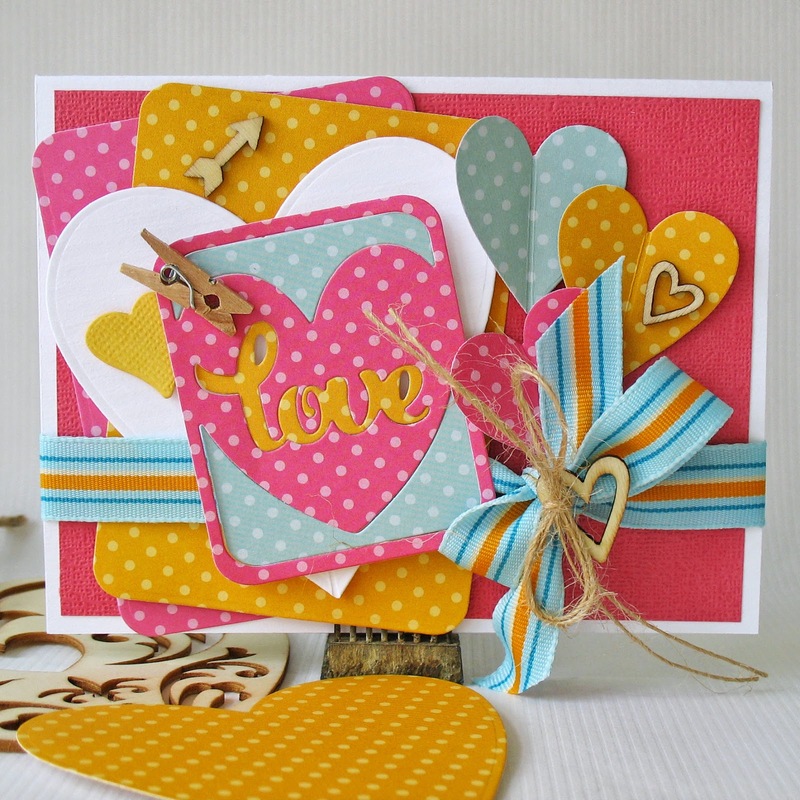 Hello ‘Fetti Fans and welcome to TIME FOR A CARD TUESDAY! I have to admit that most times I create just to create. Those projects go into my stash to be used later. However, when I create with a certain person/event in mind, I have so much fun. 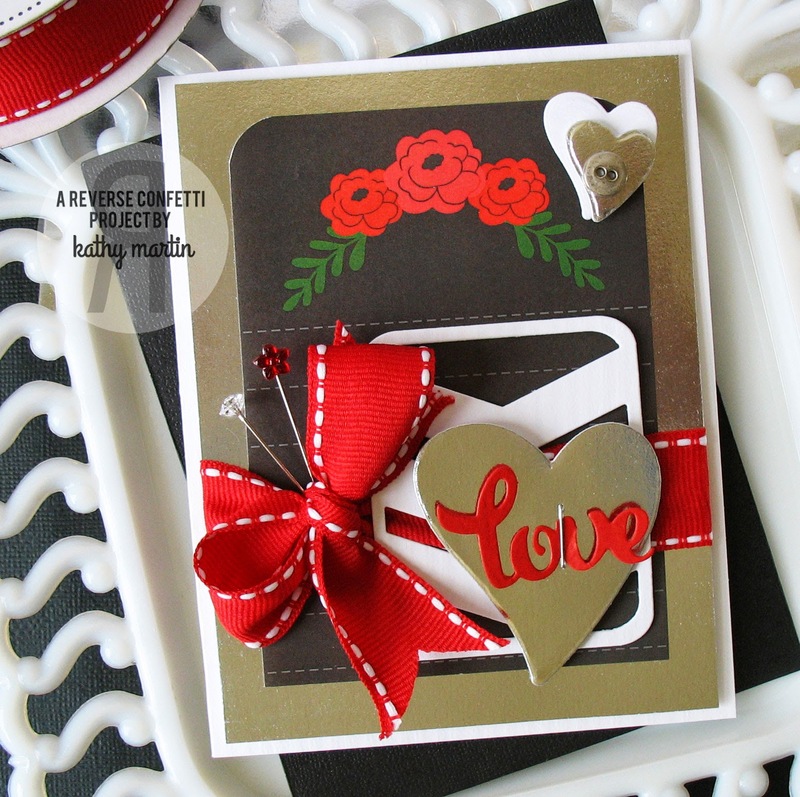 That was the case with this card that I made for my hubby’s cousin’s upcoming wedding. 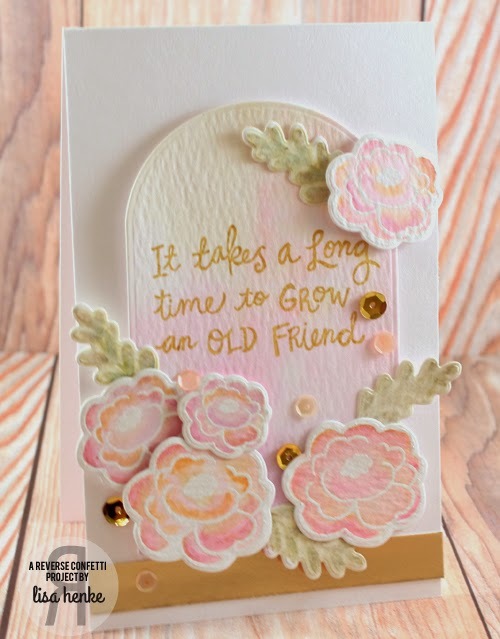 Flowers from the PETALS ‘N POSIES stamp set, along with the coordinating PETALS ‘N POSIES Confetti Cuts were an obvious choice, but I decided to do a slightly non-traditional color palette for this fun couple. 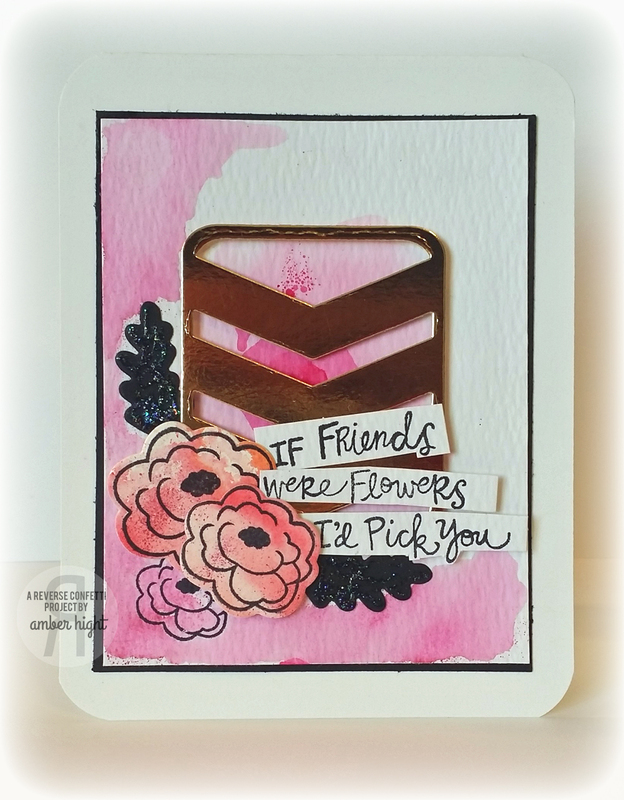 The sentiment is from the IN A BIG WAY sentiment stamp set and I love how it takes center stage here (on a debossed circle from CIRCLES ‘N SCALLOPS). Stop the presses…I got technique-y again. 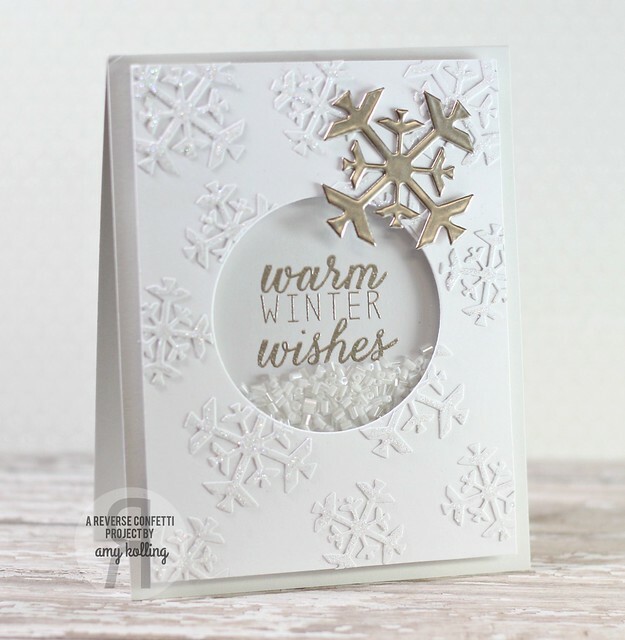 I had so much fun with embossing paste the last time I used it, I went ahead and reached for it again to create the textured chevron background on the white panel. (Sorry, I don’t know who made the stencil, as it was a find at a craft show with no label). 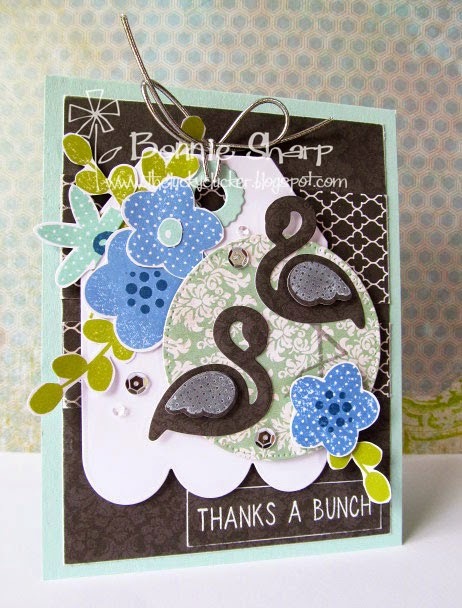 I put the finishing touches on it with a few sequins…since every wedding card should have a little bling! Guess what? 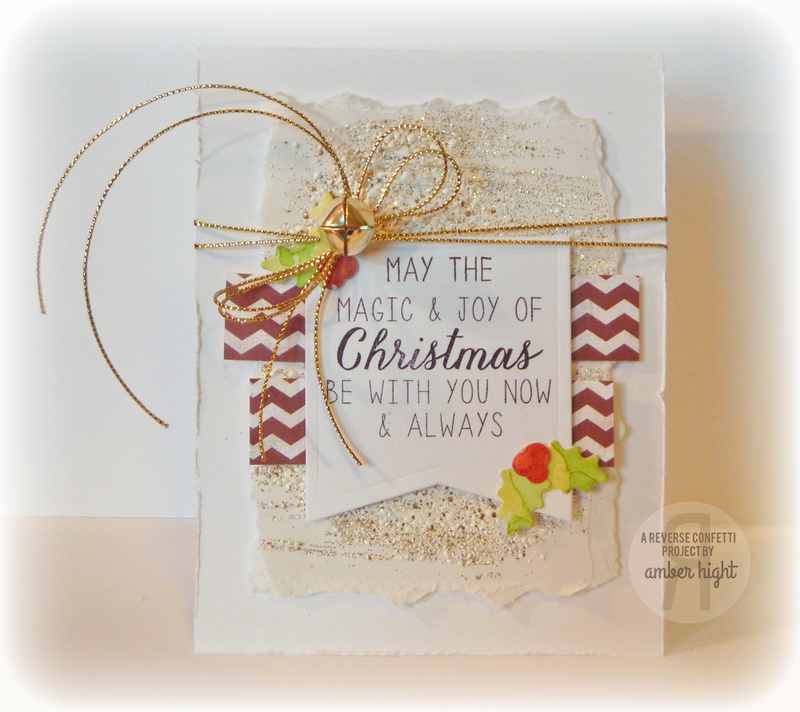 I had so much fun with the embossing paste again that I made another card. I’ll be blogging that tomorrow, along with how I took another “technique-y” step with it. The weekend is in view and boy, oh boy, am I ready for it! Football, birthday parties, my anniversary and my feet up…sounds like a plan to me! But, alas, the weekend isn’t here quite yet. However, we still have fun things happening right here on the Reverse Confetti blog. 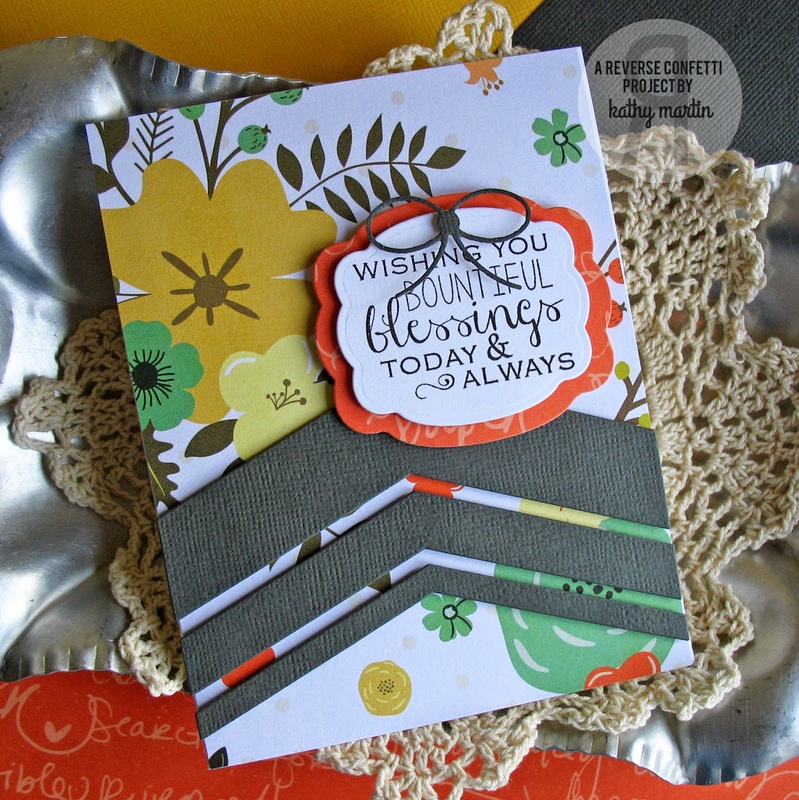 It’s Thursday and it’s time for CONFETTI CAMERA! Hello ‘Fetti Fans! Hope everyone is having a great week so far, I can’t believe it’s already Thursday! Thursday bring Confetti Camera here on the Reverse Confetti blog. This round, we’re creating ABC projects. I’m not big on projects or treat bags/boxes, I’m a card girl. Ha! But I’m also a VORACIOUS READER and love anything to do with books! I was thinking, what could I create that I could use for reading? A bookmark of course! I’m always on the look out for cute bookmarks, so it was really fun to make my own! I created a bookmark out of several Reverse Confetti Confetti Cuts and the PAPER CRANE stamp set. When going through my RC collection, I was looking for sentiments that I could use on a bookmark, and thought these sentiments from PAPER CRANE worked perfectly! I started out with my CIRCLES ‘N SCALLOPS Confetti Cuts and cut out the largest scalloped circle in turquoise, and then the next smallest plane circle in white watercolor paper. I made a little pallette of Peeled Paint distress ink and swiped the circles through the ink a few times and dried, then swiped through the wet ink and dried again until I got the amazing watercolor’y look I was going for. 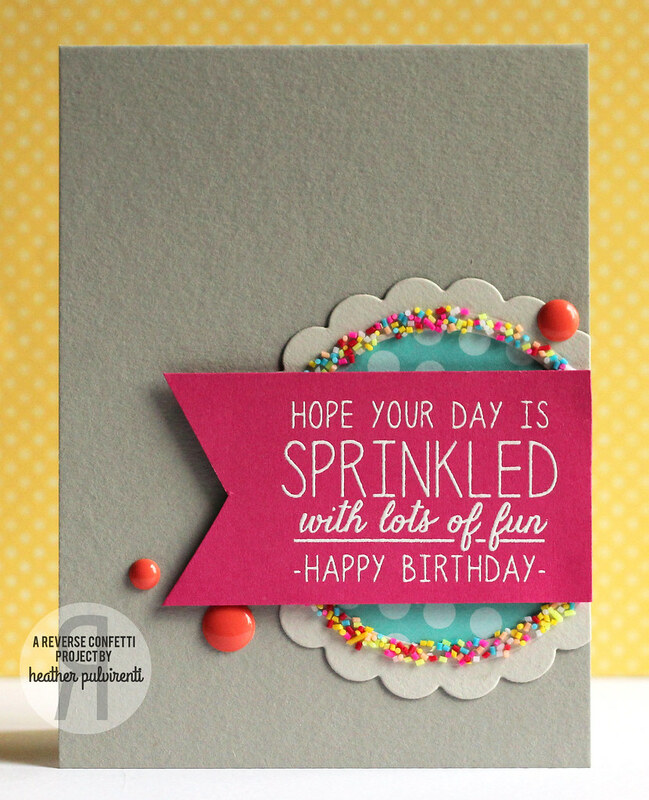 Unfortunately it got mostly covered up, but fortunately it’s with adorable RC Confetti Cuts, ha! 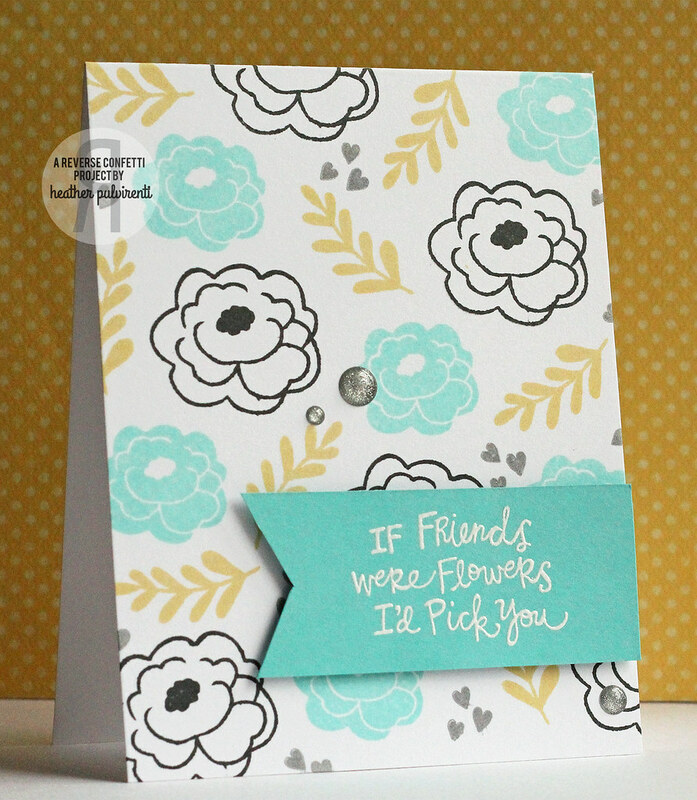 Next, I cut several flowers with the PETALS ‘N POSIES Confetti Cuts and stamped the matching stamps from PETALS ‘N POSIES in various ink colors. 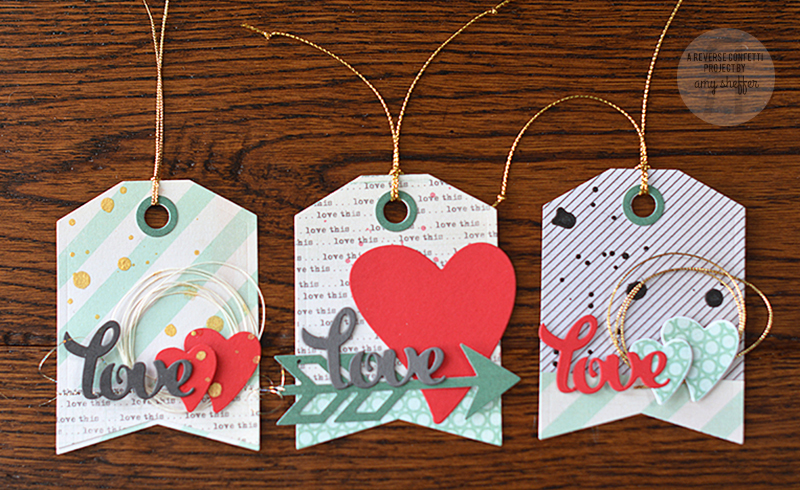 I cut a couple small labels from the GIVE THANKS LABEL Confetti Cuts and then stamped the sentiments from PAPER CRANE. I took a piece of ribbon and glued it in the middle of the scalloped and plane circles and that’s the bookmark. Super simple and super fun! Thanks so much for stopping by today, hope you have time today to get inky! Thanks so everyone that played along in this month’s SKETCH FOR YOU TO TRY!